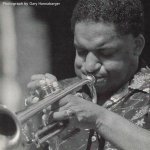 As a bandleader, Roy Campbell, Jr. has long maintained several stellar working units. A few of the leading innovators among contemporary musicians Roy has worked with include: Rashied Ali, Billy Bang, Evelyn Blakey, Dave Douglas, Carlos Garnett, Henry Grimes, Eddie Harris, Makanda Ken McIntyre, Jemeel Moondoc, David Murray, Sunny Murray, William Parker, Hannibal Marvin Peterson, Sun Ra, Woody Shaw, Cecil Taylor, Charles Tyler, Wilbur Ware, Frank Wright, John Zorn, and a countless host of other bands and ensembles. Jon Nelson Currently Assistant Professor of the State University of New York at Buffalo, Jon Nelson maintains an active career as performer, producer and collaborator. 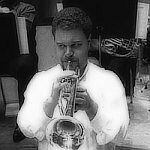 He has served as principal trumpet for the Festival Aix en Provence de Musique in France under the direction of Pierre Boulez, and the Mineria Festival Orchestra in Mexico City. His arrangements have been performed and recorded by the Cologne Stadt Ballet, the Ethos Percussion Group, and Dweezil Zappa; he has recorded for Channel Classics Records, Barking Pumpkin, BMG/RCA, Bridge, Cuniform, Peer, New World Records, Vandenburg, and CRI. Mr. Nelson holds a B.M. from The Juilliard School where he studied with Mark Gould. He has also studied with Laurie Frink in New York, and Antoine Cure in France. Nelson joined FONT Music in 2004 to curate post-classical and other related repertoire.